The legend that was Freddie Mercury knew exactly how to enjoy himself and forty years on Queen’s extravagantly named albums of the seventies are still the inspiration behind many a great Summer mini break in Perthshire! So pull out your finest fashions, pack your party shoes and prepare to be entertained by some of our best-loved award-winning venues. From The Perth Festival in April through to The Glorious Finale in September, Perth Racecourse becomes of the city’s busiest and most buzzing venues. The team at this four hundred year old track have built an enviable reputation for fantastic racing with a big, bold and colourful party atmosphere. Set into the stunning surroundings of Scone Palace Park you can feel the anticipation of an entire season building from the minute the first gate is lifted. With hooves thundering down the track and people from all walks of life cheering in unison, a day at Perth Races is unlike any other experience. Run by a team of experts, Perth Racecourse is fortunate to attract some of the finest jockeys, horses, owners and trainers from the UK and Ireland and this always makes for outstanding sport. The meetings are a great mix of daytime, evening & twilight fixtures and cover both weekdays and weekends. All include a minimum of 6 jump races and as well as the horses you’ll also find the very best in Scottish hospitality. Partnered by Prestige Venues and Events, the hospitality is second to none and we know from personal experience – we do like to research thoroughly here at AR – that your meal will be every bit as memorable as the racing! If you prefer your grub a little less formal then make sure you grab a roll at the Hog Roast which must be washed down with a pint of local ale from Inveralmond Brewery. Food of the Gods! We recommend you book quickly; race meetings always fill fast! We say the opera, but of course we mean any one of the amazing cultural events happening across Perthshire’s fantastic theatrical and live music scene. Leading the way has to be the award-winning Horsecross and much lauded Pitlochry Festival Theatre, with both Birnam Arts Centre and Inchyra Arts increasingly pulling rave reviews for their intimate concerts featuring local, national and international acts. We are currently obsessed with La La Land and so after their smash-hit production of Kiss Me Kate in 2010, we can’t wait to see what PFT do with the genius High Society from Cole Porter. We know there is a large cast, a fabulous swing band and some great songs including True Love, Let’s Misbehave, Well, Did You Evah! and Who Wants To Be A Millionaire? for the Scottish première of this witty, sparkling, high energy musical! We LOVE it already! Three ill-matched couples. Three different kitchens. Three horrendous Christmases. An hilarious, wickedly observant comic masterpiece about ladder-climbing (social and otherwise) and power, Absurd Person Singular is one of the greatest plays of the last fifty years, by one of Britain’s – and PFT’s – most popular playwrights. Based in Perth Concert Hall and venues throughout the city, Southern Fried covers a wide range of musical styles including country, blues, bluegrass, gospel, soul, songwriters, alt.country and more. Plus authentic southern and soul food, free gigs, latenight performances and workshops. The lineup will be announced in the spring but with previous performers including Steve Earle, John Prine, The Mavericks, Lucinda Williams, Seasick Steve, Booker T, Rosanne Cash and Lyle Lovett you know its going to be worth the visit! After the sold out success of his 2015 Restless Years tour, Grammy award winning, international chart-topping, British music legend Leo Sayer is very excited to be back in the UK and is looking forward to giving his audience an high energy concert. In turns heart-breaking and hilarious, And Then Come The Nightjars is a tender portrait of male friendship and a requiem to rural England. Selected from over 1500 applications as winner of the Theatre503 Playwriting Award, Nightjars was nominated for six Off West End awards and the Susan Smith Blackburn prize. 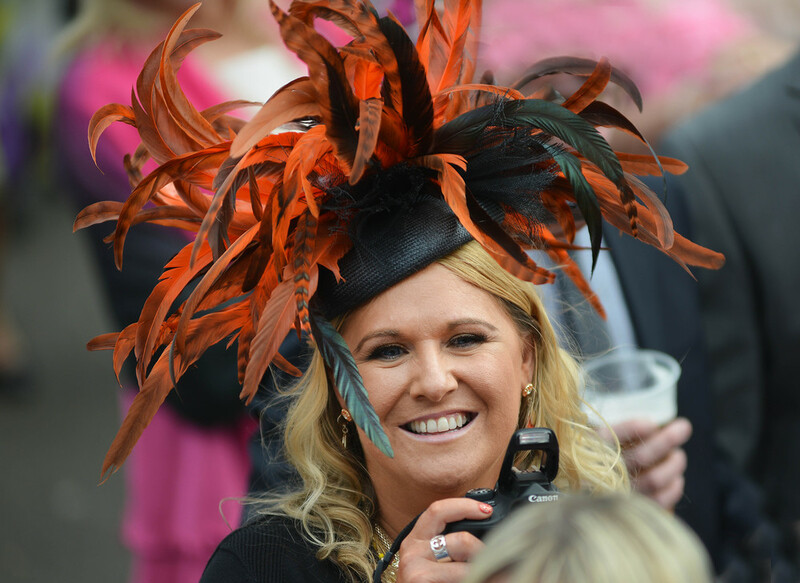 This entry was posted in News and tagged Perth Opera, Perth Races.